Auschwitz extermination camp was the largest extermination camp of Nazi Germany, and it was established in Poland. Its name comes from the small town Oświęcim, in the western part of Poland, not far away (50 km) of Krakow. 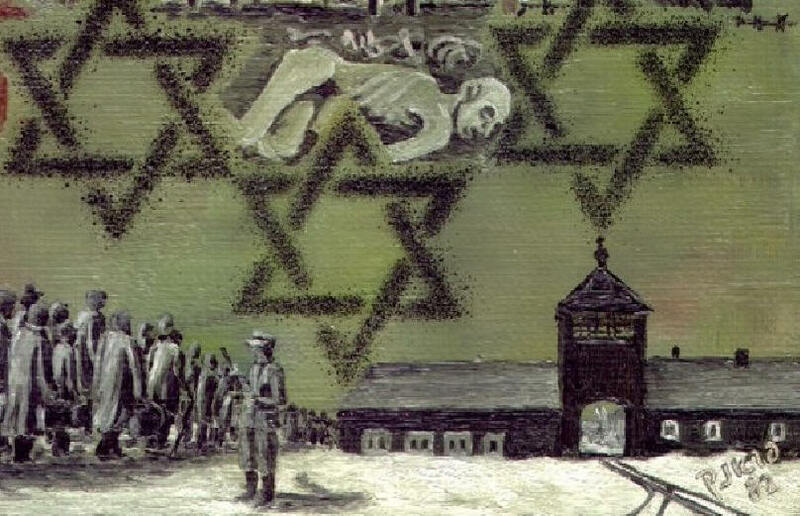 Extermination camps were separate from concentration camps, and prisoners were put to death almost immediately. There were six extermination camps in the Nazi camp system, and all have been situated in the east of Europe. These camps were officially called „Vernichtungslager“, and included Auschwitz, Sobibor, Majdanek, Belzec, Treblinka and Chelmno. Two people, namely Rudolf Vrba and Alfred Wetzler escaped from the Auschwitz camps, and presented their reports. Thereby the Allied leaders (of USA and England) learned the truth about Auschwitz in the middle of 1944. Already, in the same year, airplanes of the Allies had taken some photographs of the area, which included Auschwitz camps; but, no one analyzed these photographs. However, on 27th January 1945, the troops of the 322nd Infantry of the Red Army reached the awful place of Auschwitz, and they found and freed about 7,500 prisoners. Soon became known that here more than 1 1/2 million people were murdered! However, in this year 2015, at the 70th anniversary of liberation, some tried to twist the history. The officials of the event did not invite the representative of the Russian government, but those of the Ukraine. But we know that parts of Ukrainians were involved in the murder of the Jews! Because the fact, that Baltic and German government representatives sat in the commemorative event together, the whole seemed, like a meeting of former culprits. The facts scream out: Auschwitz was liberated by the Red Army, but not by Ukrainians, Baltic’s or Americans! Therefore, it is a gigantic scandal and shame that the representatives of the Russian government were not invited. Not the sign „Arbeit Macht Frei“ (Work will set you free), which the Nazis wrote all about the concentration camps, but the „Truth makes you free“!